MICROSENS is a world leader in designing, manufacturing and marketing of fiber optic conversion and transmission products. Operations and expertise cover the area of metropolitan networks, enterprise access and enterprise networks. Heavy investment in manufacturing technology combined with innovative in-house design to ensure leading-edge products and a fast time-to-market. 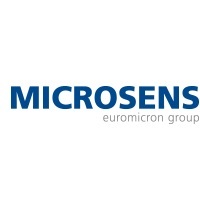 MICROSENSoffers creative solutions using high-quality components to provide a first class, cost effective service directed at customers' needs. MICROSENS is a specialized international provider with the expertise to match a worldwide perspective. The company headquarters is in Germany, with offices in France, Canada, Poland and Singapore. Products are supported locally by professional partners responsible for distribution and systems integration. All products conform to international standards and regulations, including Gigabit Ethernet, SONET/SDH, Fibre Channel and others. Only fiber optic technology can deliver high bandwidth over long distances. Not only do fiber optics meet today's needs, they also meet the demands of the foreseeable future. Add technological developments like wavelength multiplexing (DWDM), and fiber optics show the versatility and ability to expand to meet the demands of tomorrow. Fiber optic solutions are today's wise investment for future returns. All products are developed by MICROSENS' experienced engineering staff. Appropriate design is combined with intensive laboratory and field testing to meet the exacting requirements of our customers. MICROSENS' manufacturing site offers a short feedback loop for product optimization and direct quality control. The only way to ensure a permanent commitment to quality across a worldwide operation is to foster an internal business culture of quality. MICROSENS' Staff are all highly qualified and focused on quality. MICROSENS' commitment to quality shows in its regular investment in the latest manufacturing technology and its close monitoring and evaluation of internal processes.